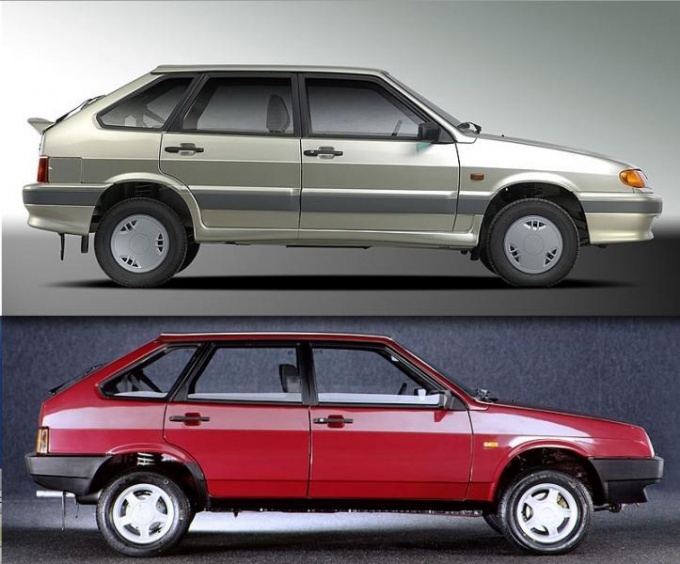 VAZ-2114 is one of the most successful models of the car manufactured Russian car industry. In connection with the widespread distribution of this model there is a large amount of issue in maintenance and repair. Gloves, clean cloth, alcohol, screwdriver. Before starting work, open the hood and disconnect the wire from the negative terminal of the battery. Then put on gloves to prevent the glass bulb a greasy residue. If spots still appear, then try to get rid of them with clean rags and alcohol. Otherwise, stains will lead to the fact that there will be a darkening of the bulb of halogen lamps, and to further her failure. After these preventive measures disconnect the turn signal connector with the electrical wires. Then unplug the connector that fits to the headlight. Gently push down the retainer and turn counterclockwise the tappet. Feeling that it is turned until it stops and pull it out of the headlamp housing. Then using a screwdriver, remove the bolts that secure the headlight on both sides and remove it along with the turn signal. Unscrew the two screws and detach the turn signal from the head of the headlight. Otdelnie spring clips and remove the rubber cap which acts as a protective tool. Then remove the cartridge together with a lamp from the housing of the pointer. Then gently pull out the lamp and slide her replacement. After replacement, insert the bulb into the holder, and the cartridge in the lamp housing. Then connect the electrical connector, connect the cable to the battery and check the operation of the installed device. To do this, turn the key in the ignition and push or lift the handle switch turn signal and look at the bulb work. If everything works normally, then assemble in reverse order, carefully making sure that the clips fell into place. After that, secure the headlight housing to the car body by screws and close the hood.